Features Quick release D-ring. The main body was made of Stainless steel, the D-ring made of ZINC Alloys. Note: Includes 2pcs screws. 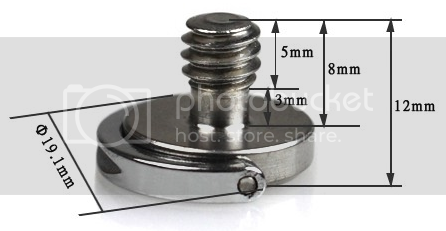 Please refer to the above image to ensure the screw size fits your camera or quick release plate before shopping.